Are You Better Than Average? 68% of people live paycheck to paycheck. 26% have no emergency savings. The median amount saved for retirement is less than $60,000. The average household has $7,283 in credit card debt. The average student loan debt is $32,264. Since then, I have come across other money statistics that have surprised me. 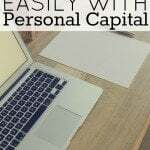 I do a lot of research as a personal finance writer. I come across money statistics that surprise me, make me sad, and some that make me worried. However, I do want to note that even if you are doing better than the average person, you can still improve even more. You should always strive to do your best as sometimes “average” is not good enough for you to live a financially successful life. Keep in mind that the average person is not the greatest with money, and many are wrecked with stress and hardship due to their unfortunate financial situation. Below are some other money statistics that will hopefully whip you into financial shape. Enjoy! Annually, an average of $220 per person is spent on the lottery. In 2014, more than $70 BILLION was spent on the lottery. That's around $220 per person, including children! However, in states such as Rhode Island, it's way above $220, at nearly $800 per person spent on the lottery on an annual basis. That is a ton of money spent on the lottery. 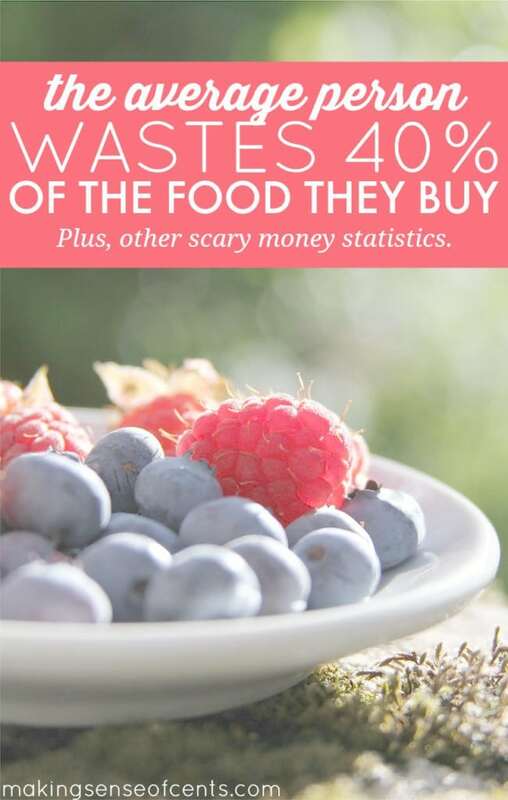 40% of food is wasted. This is a crazy statistic. Just think about it: What if you spent $100 on food each time you went to the grocery store, but when you got home from the grocery store you immediately threw away $40 of it. That's pretty much what is happening here. The average person who takes out a new car loan takes out $27,000. Plus, the average used car loan is almost $18,000. To add to all of this, the people with the largest car loans actually had the worst credit scores. One last car loan statistic, the average monthly payment for a new car loan is $471 and $352 for a used car loan. The average person wastes their gym membership. If you have a gym membership, I highly recommend that you figure out whether or not it is worthwhile. According to Statistic Brain, the average monthly cost of a gym membership is $58. Yet, 67% of people never use their gym memberships. That is a ton of wasted money. The average student loan debt is approximately $30,000. Only 41% of college students graduate in four years. The three-year student loan default rate is 15% for recent graduates. Borrowers older than 60 owe $43 billion in student loan debt. These are some crazy money statistics. 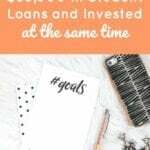 Learn more about how I paid off my student loan debt at How I Paid Off $40,000 In Student Loan Debt. Women are 27% more likely than men to have no retirement savings. I found this statistic on Go Banking Rates. “Women face different obstacles than men do when it comes to investing in the stock market. Right off the bat, they tend to have less in savings because women often take time off to raise children. With years of not earning a salary, there is no money being saved and compounded upon. 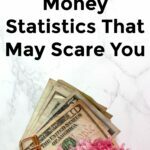 What money statistics surprised you? How do you compare? I wish more people new about the car statistic. Some of my friends are swimming in student loan debt and they still have new cars! It’s so worth it to drive something crappy to increase your net worth! Thanks Michelle! Wow, you are doing very well! Yeah I’m sure I’m one of those people who falls into the food waste category. Especially when it comes to leftovers. You would think it would be the easiest thing to eat since it takes no work. I blame leftovers! Thankfully, on the good side of the statistics. I thought people spent about $50 on lottery on an annual basis. For $220, they could pay for their Amazon Prime and Netflix subscriptions. The food wastage was a shocking revelation to me towards the end of last year – according to USA today, Americans waste $640 worth of food per year, wrote a post on it – http://stretchadime.com/save-600-on-groceries-per-year/. This changed our behavior at home and implemented strict meal planning, it is working great thus far. It’s crazy how much people spend on the lottery. Wow! Some of those stats are scary. I had a total fail this week on food waste. I had purchased shredded cheese in bulk about a month ago because it was on sale (checking the expire date when I bought it), but when we opened it this week, it had already gone bad. I should have put it in the freezer. $8 in the trash, but lesson learned. These statistics tend to make me feel a little better about our financial situation – we’re not the only ones who have made mistakes. And, we’re turning things around. I’m also really surprised by the lottery statistic. I felt rather guilty about contributing towards the office pool for really big jackpots (only about $10 per year). $10 is nothing compared to the average – so crazy! I wrote a similar article a year ago. The issue is so on point that it makes me want to repost this on my blog. 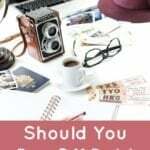 It is such an important article and it fits so well into your RV series and really touches on the importance of reducing our spending footprint. Yes, I do a post like this once a year with new statistics – they always shock me! Very alarming! I would clarify that 40% of food in America is wasted, but this does not all happen at the consumer level. Farmers have to waste a lot of edible food that is not “Grade A” in appearance, so grocery stores will not buy it. Grocery stores also throw away a lot of food that isn’t purchased before expiration. So yes, Americans waste food at home by throwing it away, but much of this happens before it even makes it into our shopping carts. I had no idea! All the articles I’ve read made it sound like the 40% happens at home. Unused subscriptions or services is such a crazy one to me, people would rather waste hundreds to thousands of dollars are year vs a 5-10 minute phone call. Insanity! I love money statistics! They definitely help people look at their situation and realize that sometimes the things they’re doing with their money aren’t that good. I know I am totally guilty on wasting food though. I have the best intentions to eat healthy but whenever I buy fruits and veggies I find something else instead to eat until they go bad. Definitely helps to have a meal plan though, I’ve saved a lot just by knowing exactly what I’m making for the week instead of making multiple trips to the store a week. These are so interesting! I think the most surprising to me is an average of $220 spent annual on the lottery. And upwards of $800. We often wonder how so many casinos make it in Montana. I’ll have to look for the average $ per person spent in casinos here. So crazy. Ooooh that would be an interesting thing to know as well! Youre right, thise numbers are scary as heck. One article Im working on is life insurance and it is pretty scary the number of people who dont have that. I’m guilty of that. I keep forgetting! I’m a mixed-bag. I had $60k in student loans & a $27k new car loan. Both of those are paid off and I’ve always paid the credit card on-time. The only debt we currently have now is a mortgage, which should be paid off in 7 years at the latest. – Check! We were hitting it hard in the beginning and then downward spiral. What if you spent $100 on food each time you went to the grocery store, but when you got home from the grocery store you immediately threw away $40 of it. – Check! Notorious for letting food spoil before actually eating it. At least we own our cars so there’s that! I found the women statistic really shocking. However, even if they are less likely to have retirement savings, I give so much props to women and the impact they are having on the workforce. They sure know how to compete very smartly and be nimble and creative enough to beat a lot of the competition that are out there! Some seriously scary stats there! i used to be so guilty of wasting food until I started making meal plans and batch cooking. It has saved me around £150 a month since January this year. Ashamed to say that I only started to save towards my retirement this year, however, I have put a significant portion of my wage towards it since I started. 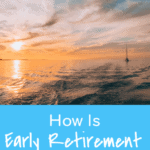 It’s so important to have a retirement and emergency fund, I honestly can’t imagine not having any savings to fall back on now just 9 short months in! Yeah, that’s a crazy amount for a used car! I definitely fall in to the gym category so I decided to quit the gym and find activities that I truly enjoy and have kept to them for years now. I think that is the secret! I started cooking at home recently and it’s been a game changer. I always told myself I wouldn’t save that much since it’s just me, but I guess I just had blinders on. I’ve also brought a few take out meal leftovers home which also saves money. I used to just toss it. So wasteful. The statistics are scary, though it’s pretty humbling to read them. The used car loan statistic is crazy. I paid less than $18k for my new Civic. Great job on cooking at home! I am definitely one to not waste food but fall into some of the other categories. I have been wanting to get a better car as mine is a 92 gas guzzler but it’s crazy to think that for some $27k is even an option. I have a hard time wasting a dollar. Lessons have definitely been learned the older I get and experience. Thank you for sharing these stats as it really puts things into perspective. The food waste is something I’m trying to work on. It is mostly vegetables that I get overzealous about at the grocery store. That is a great benefit of a gym membership, for sure! That car loan statistic is crazy. A $27,000 car loan is ridiculous. It’s not worth it at all. Use cars for the win! I get gym membership when summer is coming like 3 months before it, and I make sure that I use it as much as I can. Then, I already bought some equipment for home use when I don’t avail gym membership. These stats are frightening … never knew how bad things really were before reading this! The money stat that wows me the most is how many Americans couldn’t survive if they had an emergency of $500. That is just plain scary. Even when I was in credit card debt and owned a house I couldn’t afford, I still could come up with $500. Here’s another statistic I found interesting… Only 5% of people actually love their job. I used to be one of them. I can’t own up to loving my job now but I do enjoy it to some extent. At least i’m not dragging myself out of bed in the mornings anymore. Plus once a week we have a meal like a frittata that requires a lot of leftover food to be added to it, like a few slices of lunchmeat, salami slices, some veggies, spinach leaves before they go bad – sort of a “clean your fridge” meal. It does feel good to know that this way you lower the waste. We do the casino date, about once a year. With a very strict rule of 5$, plus a cost of 2 glasses of wine. We have so much fun. Gamble on penny machines, cash out frequently to keep an eye on the total number. And always, ALWAYS come out ahead. Last time we put 5$ in and left the room with 5.35$. It wouldn’t be so much fun if it was more than once a year. We make it sound like we’re rolling for millions, all of the emotions we put in it… haha it is a good way to tame down the gambling needs. Nothing close to 220$ per year. Ouch.